That is scary. I had toy guns at that age! All I can think of is A Christmas Story. You'll shoot your eye out, kid. 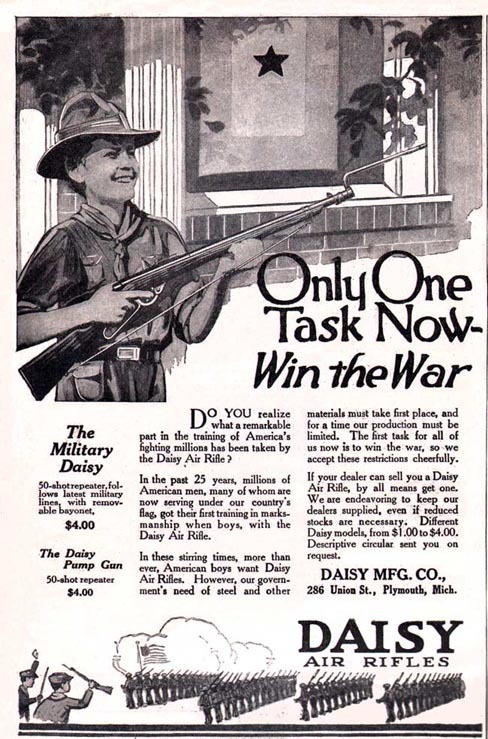 Toy guns were a part of our lives. I even had some and I played a lot of gun fight at the OK Corral. I was a pretty good shot as I recall. I can't believe the price, $2.50. As a non American, I just think of it as part of the American culture. Not one I subscribe to although when we lived in NC for a while, we had a shot gun for the snakes. Great pictures, toy guns were all the rage when I was small but in today's society I somehow think life has changed somewhat. 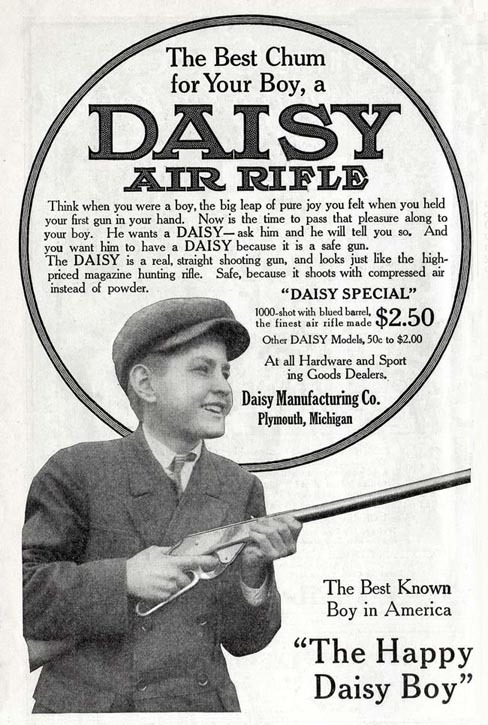 It is so amusing that a weapon has such an innocent and innocuous name, 'Daisy'. Love the old pictures. I spend a lot of time on the Library of Congress and the New York Public Library digital collections websites browsing through their old pix. Alex Cavanaugh beat me to it: you'll shoot your eye out, kid. But hey: IT'S YOUR EYE. (Even though I'm a chick, I loved my BB gun when I was growing up). Great post! 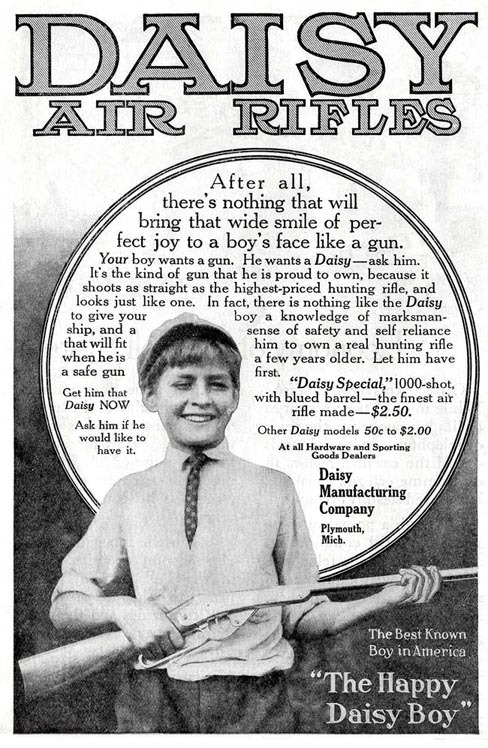 I always wanted an air rifle when I was a kid. I did finally get one, but I don't remember ever using it much. In fact it seems like it just disappeared from my life soon after I got it. Now I'm wondering where that darn rifle went.